Currently for India, ISO 3166-2 codes are defined for 29 states and 7 Union territories. Each code consists of two parts, separated by a hyphen. The first part is IN, the ISO 3166-1 alpha-2 code of India. The second part is two letters, currently used in vehicle registration plates, with some exceptions. ^ Code inconsistent with vehicle registration code, which is CG. 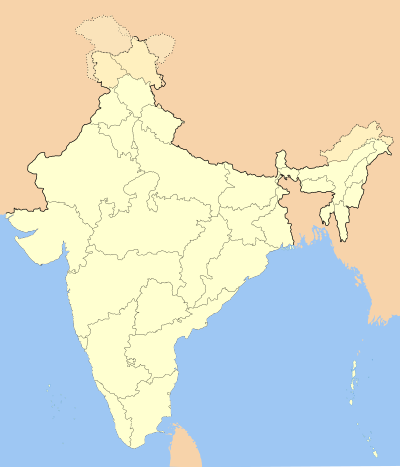 ^ Changed its name from Orissa to Odisha in 2011. OD replaced OR as vehicle registration code, but not as ISO 3166-2 code. ^ Code inconsistent with vehicle registration code, which is TS. ^ Code inconsistent with vehicle registration code, which is UK. Before the state renamed from Uttaranchal to Uttarakhand in 2007, the vehicle registration code was UA and the ISO 3166-2 code was IN-UL. 2011-12-13 Addition of local generic administrative terms, update of the official languages according to ISO 3166-2, addition of a comment and source list update. ^ "Renaming God's own country". NDTV.com. Retrieved 2019-02-07. ^ "RTO Codes of Odisha State". odishabook.com. Odisha Book. Retrieved 21 October 2014. ^ Ramanath V., Riyan (2 March 2014). "New RTO here, get driving licence in a day". timesofindia.indiatimes.com. Times of India. Retrieved 21 October 2014. ^ Special Correspondent (18 June 2014). "Vehicle registrations dwindle in Telangana State". Hyderabad: The Hindu. ^ "Telangana begins vehicles registration with 'TS' code". mid-day. 19 June 2014.